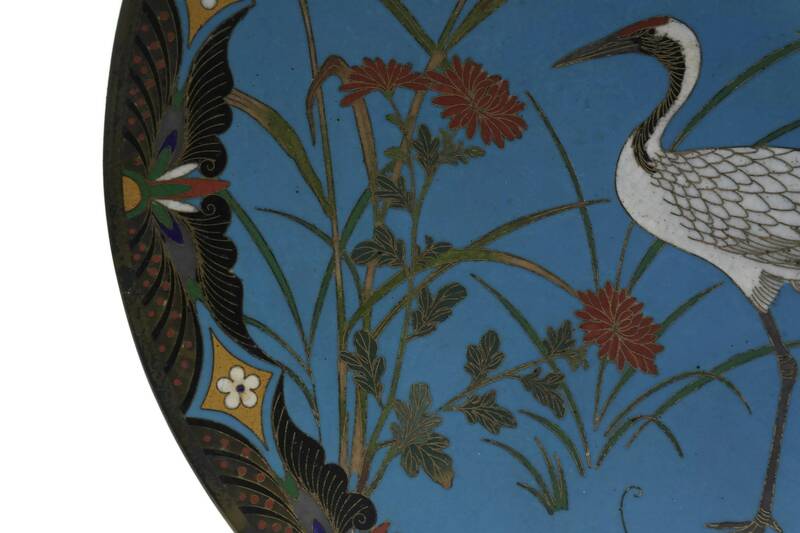 Antique Japanese Cloisonne Charger Plate. 12 Blue Enamel and Brass Wall Hanging Platter. 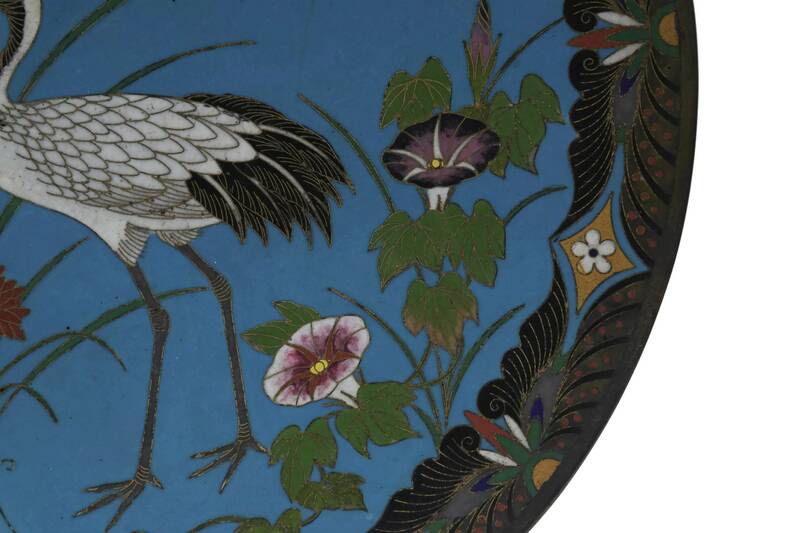 Oriental Home Decor. 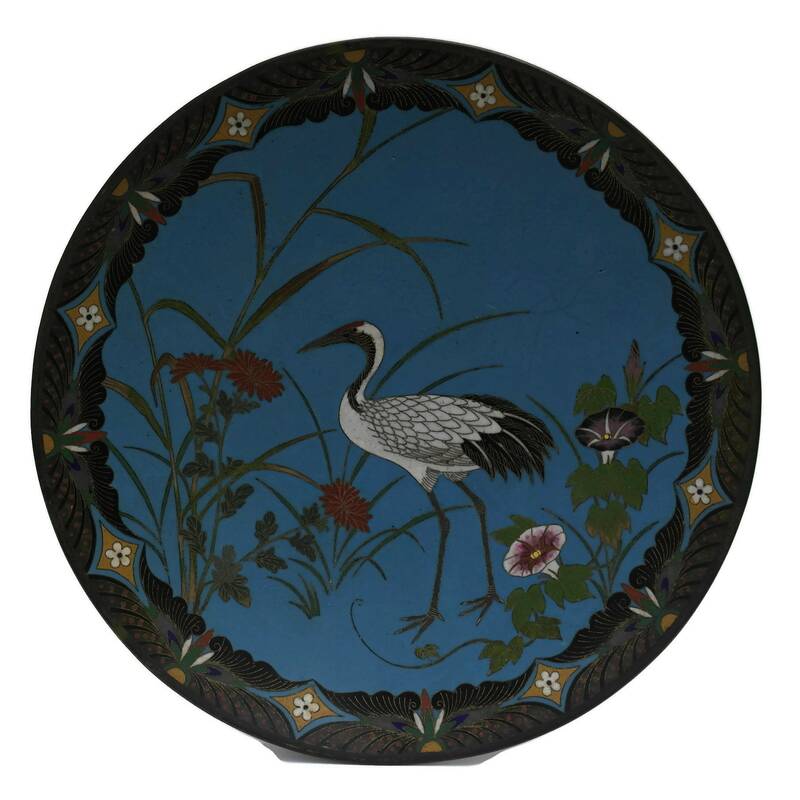 Antique Japanese Cloisonne Charger Plate. 12" Blue Enamel and Brass Wall Hanging Platter. Oriental Home Decor. 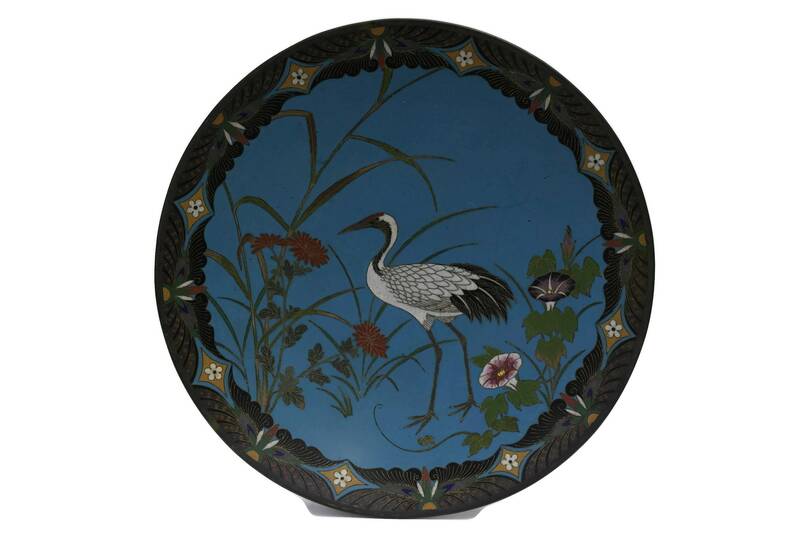 An exquisite antique Japanese cloisonne charger plate from the late 19th Century. 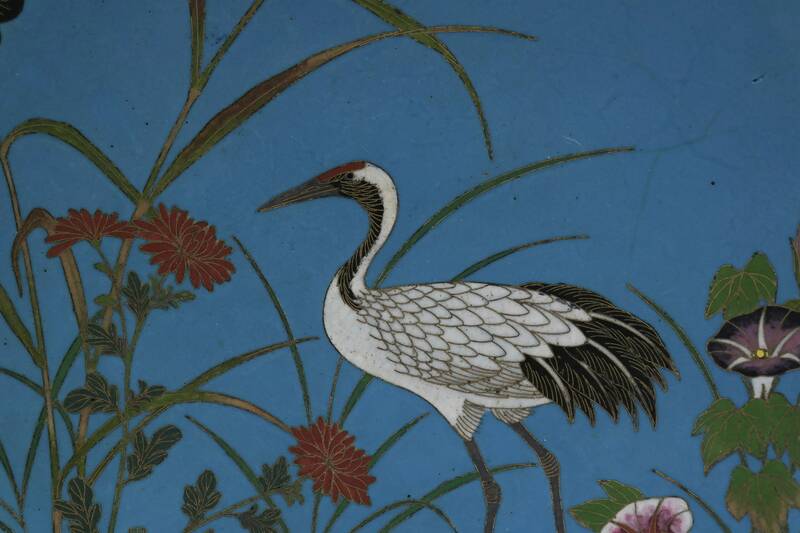 It features a classic turquoise enamel background with the figure of a crane bird surrounded by flowers. 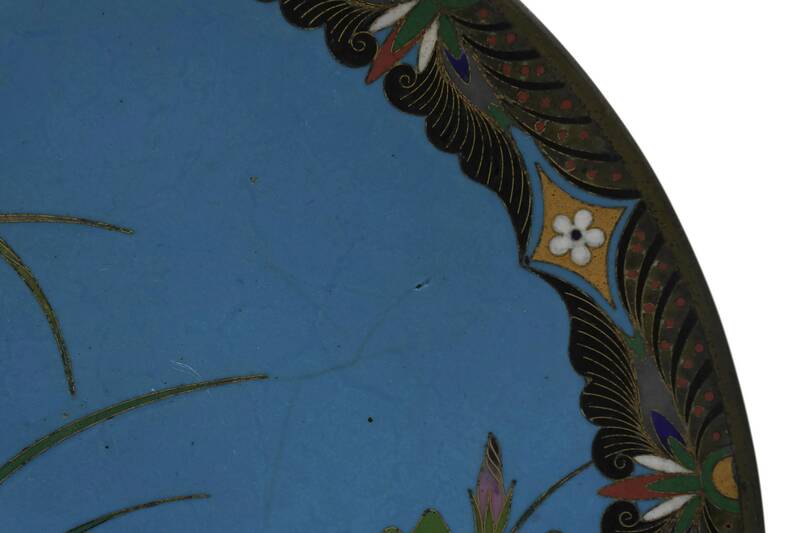 The border of the brass platter has an ornate decorative rim with wave and blossom motifs. Originally the underside had small feet but these have been lost over time. 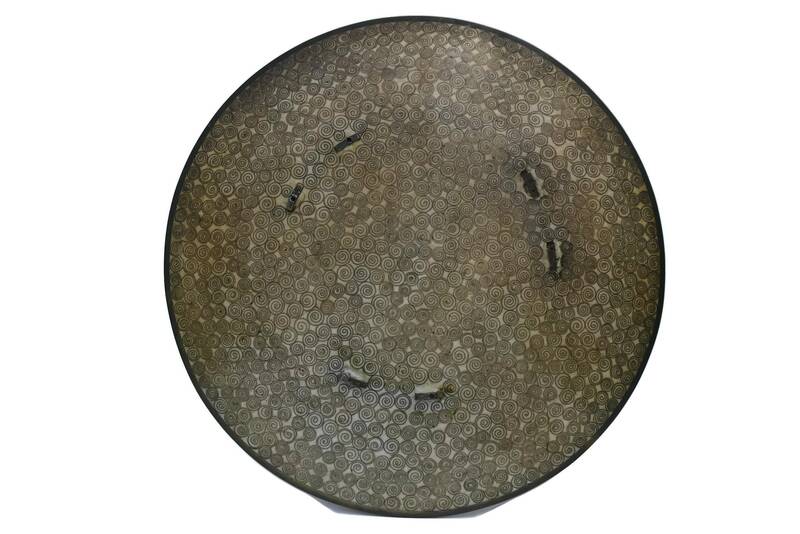 There are small chips to the enamel on the underside around the former feet supports. 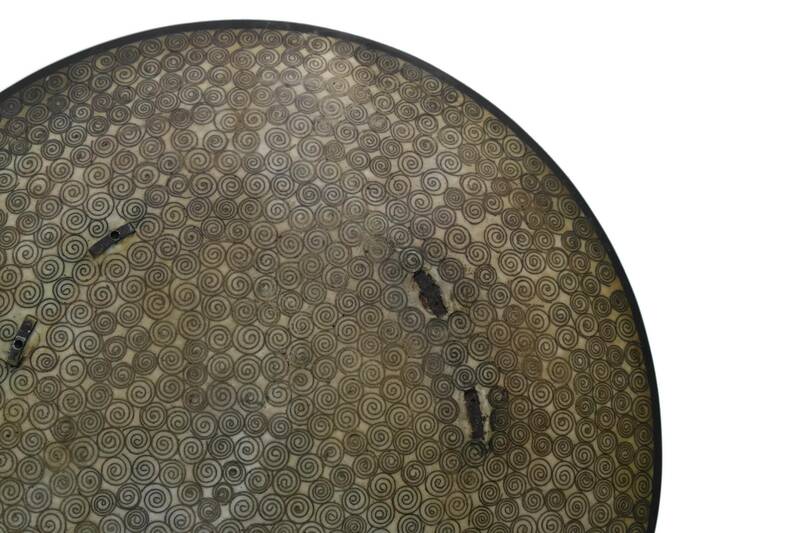 Item ref: Antique Japanese Cloisonne Charger Plate. 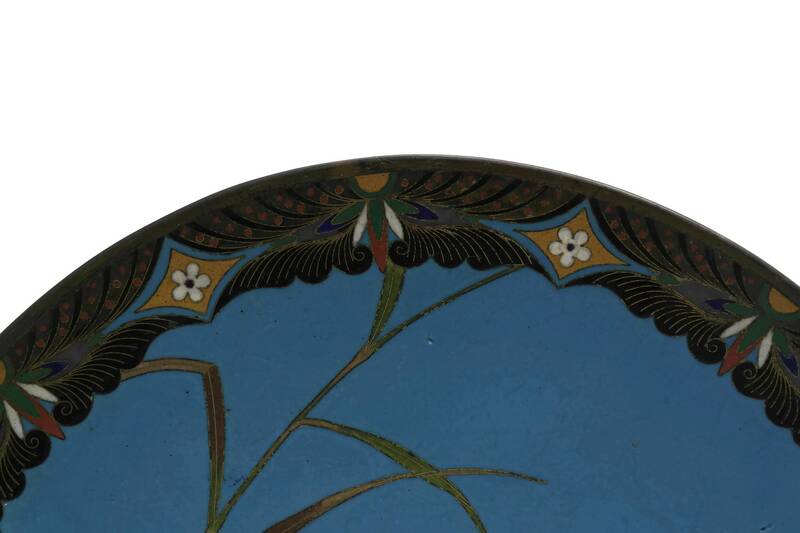 Blue Enamel and Brass Wall Hanging Platter. 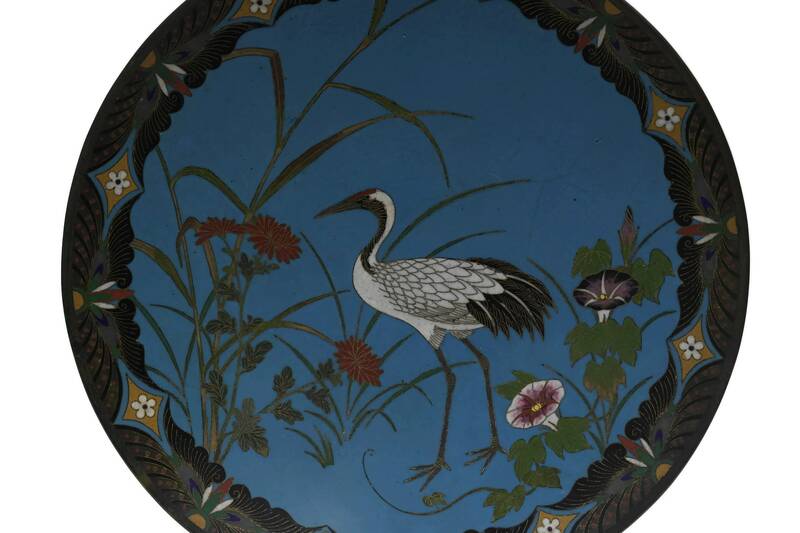 Oriental Home Decor.